Jackie Chan is still a legend, and though he’s running past retirement age, he’s still out there punching bad guys in the face. We get plenty of action in Kung Fu Yoga, a sprawling archeological adventure that spans the whole of Asia while not forgetting to be fun on the way. 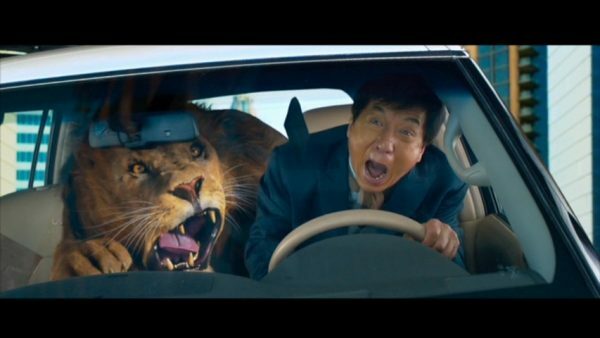 Fans of CGI lion puking will be especially pleased with Kung Fu Yoga. In an era where Chinese blockbusters can be hit or miss, Kung Fu Yoga delivers a win, even though at first glance you would wonder if it could. 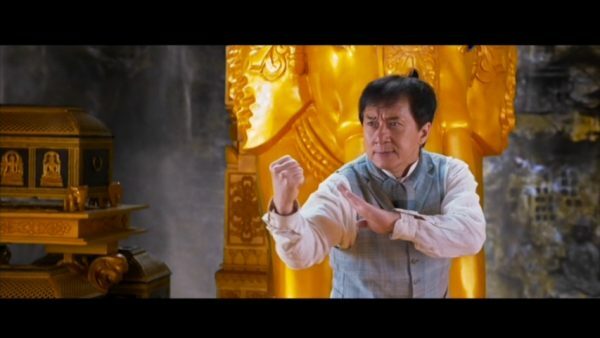 Jackie Chan is Jack, the famous Chinese archeologist who is one of the best archeologists anywhere, even though he will repeatedly point out that he’s just one guy and there are many good archeologists in China. Jack is humble, see, but he’s popular enough that the mysterious Ashmita (Disha Patani) has brought an ancient map from her family’s archives that might point the way to the lost treasure of a Chinese army that went to India. We see parts of this flashback in the opening sequence in Playstation-3-o-vision, as CGI Jackie Chan, Aarif Lee, and Sonu Sood battle amidst elephants and nameless troops. Jack and his grad students – Xiaoguang (Zhang Yixing) and Noumin (played by famous yoga practitioner Miya Muqi) snag the son of Jack’s old archeology bud, Jones Lee (Aarif Lee Chi-Ting, and his name is far from the only Indiana Jones reference in the film!) to go treasure hunting! Also Eric Tsang is briefly there because his character owns an oil refinery company that can break through ice. Science and industry, synergizing together!